Renault, the French auto majors innings in India could not score well so well, to reach a four digit score the company had to burn midnight oil and still the garnered figures were nowhere close to the master blasters of the Indian Auto Industry Maruti and Hyundai. To change the game Renault decided finally it was time to bring in its much acclaimed Duster SUV of the global market to Indian pitch. Duster across the world entered the pitch with Dacia (a fully owned subsidiary of Renault) badging. However when Renault decided to launch its best player in India, Duster joined Renault India’s team. 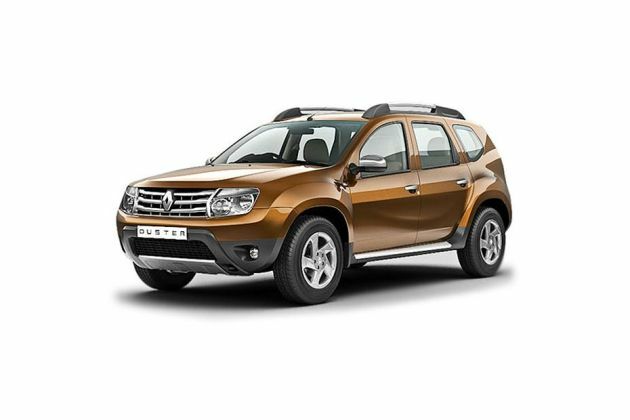 Renault Duster is aimed to change the entry level SUV market in India; moreover as evident from the TVC that Renault released as a prelaunch teaser, it became apparent that the company is even targeting to lure the Rs.7-11 lakh bracket sedans buyers. Renault Duster India looks like a perfect off-roader in appearance. Renault Duster is premeditated to grapple all kinds of roads and tracks. Wide wings and a tall stature reveal its personality. The roof rails, chrome wide grille, the skid plate, antenna, high ground clearance and the alloy wheels render it a much sporty look. The rugged exteriors of Duster are marked by three slat grille which ingrains a big Renault badge in the centre. The side profile is the most interesting one with lot of contours. The beltline is very sharply cut. Body color door handles, wing mirrors, fuel lid can be seen. The rear side is marked by a curvy boot lid, skid plate, vertically placed tail lamps with D-Shaped curve alongside, high mount stop lamp, hexagonal windshield (having six sides) with a rear viper, Renault badge and reflectors. Renault Duster horizontal grille is held by a pair of double optics headlamps. The boot lip opener has a Duster written plate over it. Just below it is the number plate. The rear bumper is also not very wide but is painted in body color.Renault Duster is quite lengthy according to the trend of crossover SUVs and do not qualify the sub-4 meter excise levy. The bonnet is all flat with no curves however some characters lines are visible. Tinted large windshield gives way to the high roof. The roof antenna is an example of aerodynamic design and helps reduce wind noise and turbulence. The interiors of Renault Duster are much inspired by Renault Logan. Though it is an SUV, it can seat only 5 passengers. All black-theme in the interiors take away the luxury quotient but renders a sporty look. The 3 spoke steering , which bears Renault’s logo, is electrically powered but can be a bit too heavy on turns . The dash is quite curvy and looks sporty. The AC vents on shiny brown central console and either sides of dashboard can be closed completely. The rear seat passengers can have individual AC vents outlined with shiny brown color for their comfort. The instrument console has large dials akin to SUV and is illuminated in red. A lot of interior equipments looks like borrowed from Logan. The same semi hooded instrument cluster cover with its chrome polished dials with a digital display in the center all comes from Logan. The gear lever is a bit stubborn like the steering. The glove box is quite big for storage. Renault Duster’s flat seats will surely be comfortable in Indian car with the usage of high quality materials having a premium touch to it. Even the material used on the door sills is up-market. The music system is integrated well in the central console and looks modish with its Bluetooth and aux input functions. Front seats are two electrically programmable but without memory functions. Power window switches for the rear passengers are most likely to be on comfortable door pads. The shiny brown door handles will be large to hold while turns and jerk. Renault Duster top end variant Diesel RxZ comes equipped with 1.5L K9K dCi engine that does duty in Renault Pulse, Logan and Fluence. The 1461cc common rail direction injection engine is extremely frugal and good to yield a power figure of 108.5bhp @ 3900rpm and a torque value of 248Nm @ 2250rpm. The powerful 1.5L engine features a variable geometry turbocharger and intercooler along with 6-speed manual transmission gearbox that makes your city driving experience pleasant and easy. However with the torque figure of 248Nm you need to wait for the engine to rev upto 2000rpm to get going. Duster takes decent amount of time i.e. 11.01 seconds to reach 20-80kph speed in third gear and almost 12 seconds to reach 40-100kph in fourth gear . The figures seem to prove very vital and rightly so, however Duster is still faster than its arch rival cheetah like SUV, Mahindra XUV 500. What adds cherry to the Renault Duster Diesel RxZ pack is the inclusion of 6th gear that makes the 108.5bhp Duster a zooming SUV. The SUV comes with two wheel drive option. Moreover, the refinement would be on another level and going by how damped the engine is in both the Logan and Micra, Duster bugs you with the same levels of NVH (Noise Vibration and Harshness). Renault Duster is fit for city as well as the off roading experiences SUV are built on an extended Logan platform. It applies a monocoque chassis and one which gets independent Macpherson strut with coil springs and anti-roll bar suspension in the front and there is a deflected torsion beam axle with coil springs and anti-roll bar at the rear. Renault giving safety a high priority have incorporated hydraulically operated diagonal split dual circuit braking in Duster SUV with disc brakes in front and drum at the rear end. Disc brakes are very effective in application of emergency brakes. This setup is alike most hatchbacks and the advantage of the same is its simple construction and significant cost savings. But then weights have been bestowed on to deal with the more hefty SUV body. The Steering wheel in petrol variant is Hydraulic power assisted and in diesel ones is Electro Hydraulic power assisted. Among the safety features Renault Duster comes titivated with Anti-lock Brake System, Emergency Brake Assist besides Electronic Brakeforce Distribution and a stability control module, impact sensing door unlock and engine protective underguard. Front fog lamps and rear de-fogger incorporated in Renault Duster helps you get a better vision of the road after dark and in cold temperatures; fog lamps also increases the conspicuity of the vehicle and gives the follow driver on road an information regarding the vehicles attendance, location, size, direction of traveling and speed. It also comes with two front airbags (front driver and passenger) and three-point seatbelt pretensioners depending on the version. Its sturdy and reassuring appearance are a reflection of its equipment. An SUV is ought to have top-notch security and in its first SUV in India, Renault has paid special attention to safety in order to grab a niche. Interior comfort is provide by cushioned seats in the SUV. Manual Air conditioning with climate control is an expected feature. Practical and functional, its passenger compartment can hold 5 passengers and provides up to 475 litre of space in the boot (d epending on version), easily providing enough space to carry all their luggage and leisure equipment. With the back seat folded down, the space available goes up to 1,636 litre . Folding the front passenger seat down enables objects as long as 2.65 meters to be carried in the passenger compartment One will surely get good head room, leg room and shoulder room as added benefits. Renault Duster will have ample space at the rear for luggage so that the car will be perfect for long drives and touring.